This is a list of frequently asked questions pertaining to Tae Kwon Do and our studio. Please contact us if you would like further information. IS TAE KWON DO KARATE? “Karate” refers to Japanese striking martial arts and “Tae Kwon Do” refers to a specific Korean martial art. Both terms refer to “open hand” or weaponless fighting styles. The word “karate” has appeared more commonly in western cultures and is often used because of its familiarity. Tae Kwon Do is a Korean martial art with roots over 2,000 years old. 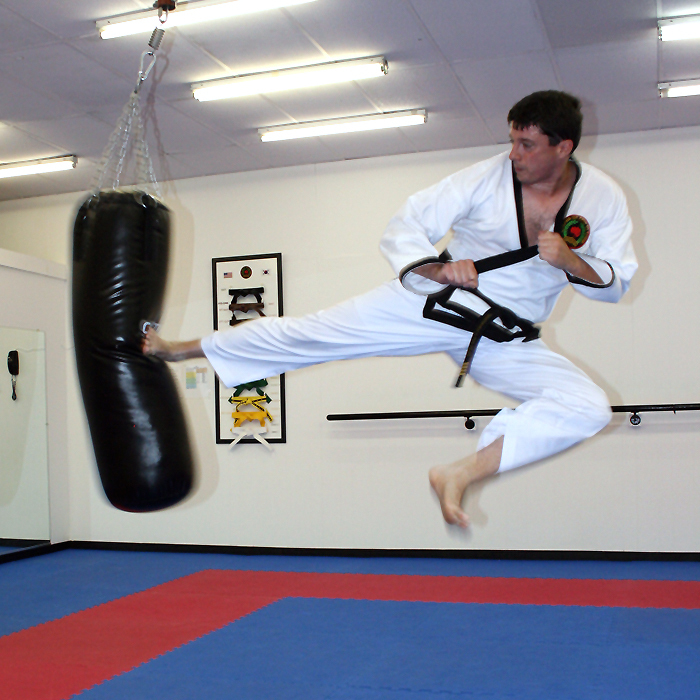 Tae Kwon Do can be translated as “the way of the foot and fist,” “the art of kicking and punching,” or “the art of unarmed combat.” Tae means to kick or strike with the foot. Kwon means fist or to strike with the hand. Do refers to a discipline or an art. WHY LEARN TAE KWON DO? Tae Kwon Do will help teach you, and develop within you, a feeling of personal security through physical fitness, poise, and grace. Most importantly, Tae Kwon Do will help develop peace of mind, a sense of self-discipline, and sense of self-confidence. WHO CAN LEARN TAE KWON DO? Children and adults, men and women can all benefit from Tae Kwon Do training. Children may begin lessons as young as six years old. HOW CAN TAE KWON DO HELP CHILDREN? Tae Kwon Do can help children improve their balance, flexibility, motor coordination, endurance, and strength. Regular activity for children is an essential component of healthy physical development. Equally important is the development of mental skills such as focus, concentration, self-awareness, and self-control. Through Tae Kwon Do training children will also learn the important values of respect, goal-setting, patience, self-improvement, friendship, integrity, confidence, positive attitude, dedication, seriousness, courtesy, self-discipline, perseverance, character, and commitment. HOW CAN TAE KWON DO HELP ADULTS? Physically, Tae Kwon Do can help adults improve their balance, flexibility, coordination, endurance, and strength. Furthermore, Tae Kwon Do classes can help adults reduce the stress of daily life, help with weight management, and improve focus, concentration, self-awareness, and self-control. 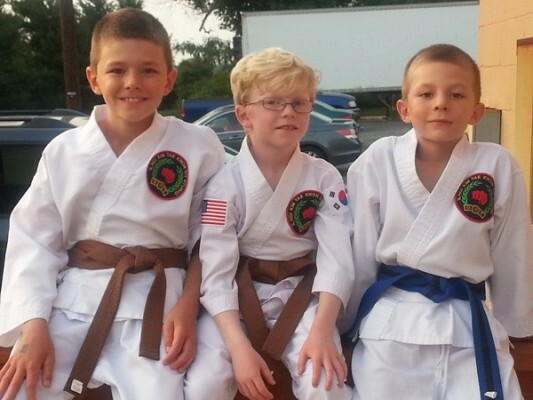 Many of our students discover that Tae Kwon Do changes their outlooks on life. We have an open schedule at Kim Studio allowing you to choose which classes you attend. Classes are available six days a week, making it easy to find a time to fit your busy lifestyle. Kim Studio Lancaster has a trial program tailored especially for beginners. Once the trial lessons are completed, students may attend our regular classes. Click here for more information about our beginners program. HOW FAST WILL I PROGRESS? On average, students will test for a new belt level approximately every 3 – 6 months. With diligent practice, effort and regular class attendance, it is possible to earn a black belt in a few years. We have several payment plans available and one is sure to fit your needs. We also offer affordable family rates. Please call or visit for more information. Helps older adults become stronger and improve mobility. Yes, you can! 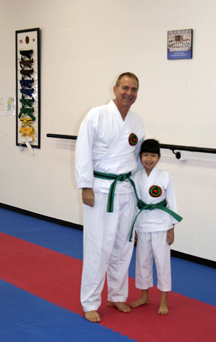 Our schedule and payment plans are designed so you can learn Tae Kwon Do as a family. When you visit Kim Studio Lancaster, you will see fathers and sons, mothers and daughters, even grandparents with their grandchildren learning Tae Kwon Do together!